Nobody likes hospitals, that's for sure; but when you meet a professional team, with well-acknowledged doctors and smiling nurses who take care of you as their own family, hospitals do not seem so horror anymore. Royal Infirmary is one of the biggest teaching hospitals in Edinburgh, providing a wide range of services, from the medical to the surgical ones. If everything bad happens to you, don't worry, for the emergency department is opened 24/24. 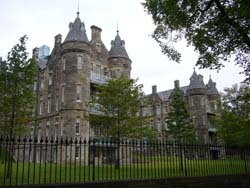 Royal Edinburgh Hospital is part of NHS Lothian, providing a series of mental health services for almost 650, 000 people. The list of services varies from the acute psychiatric ones, to eating disorders and alcohol addiction. At Royal Edinburgh hospital, you will be greeted by a friendly, but in the same time professional staff, ready to come to your aid, no matter your age or health problems. 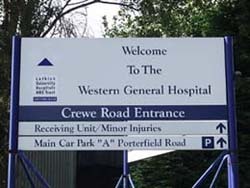 Western General Hospital offers a wide range of medical services for people who live in Edinburgh or in surrounding areas. The list of medical services is large, including hematology, infectious diseases, oncology, respiratory medicine, breast surgery, renal dialysis, neurology and neurosurgery, etc. The hospital is opened late everyday till 9pm and you do not need an appointment. If you live in Scotland, you definitely know what PDSA is. If your pet ever needs medical assistance, this is the place where you should take it. 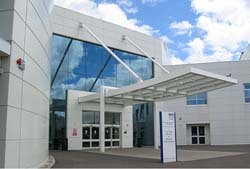 This hospital takes care of almost five thousands pet patients, being UK's leading veterinary charity. At PDSA Pet Aid Hospital, you will meet a professional team who will take care of your pet, as if it were their own. Cambridge Street Day Unit is part of NHS hospital and it provides multiple outpatient services. They also have an A&E department, which means if you have a life-threatening emergency the professional team at Cambridge Street Day Unit will take care of you. Whether you have breathing difficulties, loss of consciousness, unbearable pains or uncontrollable bleedings, the well-experienced doctors will come to your aid right away! 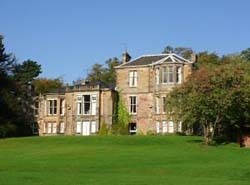 Astley Ainslie Hospital is part of NHS Lothian, providing a wide series of medical services for patients in Lothian and across it, Fife and the Borders. The lists of medical services include brain injuries, Geriatric orthopedic rehabilitation, General rehabilitation and Cardiac rehabilitation. The doctors take great care of each and every patient, making sure they leave the hospital perfectly healthy.